Welcome to the most comprehensive football ticket site offering the very best Euro 2020 Tickets to the best Euro 2020 games taking place in 13 European cities. After the amazing World Cup in Russia it's time for the Euro 2020 Cup. The best European nations will qualify for their group stage games in Russia. The Euro 2020 games will take place in June-July 2020. Book your Euro 2020 tickets online through our secure booking system. Watch your favourite superstar football players compete for their national teams in live action in the upcoming EURO 2020 tournament. Buy Euro 2020 tickets and support your favourite National Team at home and away games. Devoted fans travel to cheer for their beloved National teams and favourite superstar players from their nation! Join in the excitement and fun of the EURO 2020 tournament - sit with other enthusiastic fans from your country and enjoy the contagious energy of the EURO 2020 matches! Buy hot EURO 2020 tickets online at 1st4FootballTickets.com and enjoy an unforgettable football evening or afternoon with friends and family, watching your favourite national side compete for your nation in live action. You can buy tickets for EURO 2020, football tickets for EURO 2020 Qualifiers, and EURO 2020 Final tickets at 1st4FootballTickets.com securely online - or you can call our EURO 2020 football ticket hotline @ UK TEL: 0871 284 5277! Every EURO 2020 ticket order from 1st4FootbalTickets.com comes with a 150% guarantee, and will be delivered to your home, hotel, or office ASAP by our reliable partners FedEx and Royal Mail Special Delivery. 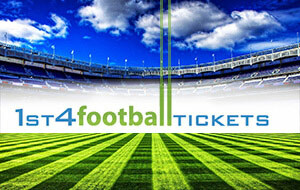 1st4FootballTickets.com has served thousands of satisfied football fans through the years. We offer friendly customer service, and last minute bookings for one or more EURO football tickets or EURO 2020 final tickets from our highly secure football ticketing website. EURO 2020 football hospitality tickets can be purchased online or by calling our football ticket hotline. 1st4 Football Tickets.com is not affiliated with the FA, UEFA, FIFA or any other football organizations.